In Washington, a group of community partners banded together in 2013 to help combat a series of crises in their community when teen suicide, drug and alcohol abuse, violence and other issues that had been years in the making needed to be addressed. Now that approach is up for consideration in St. Helens. Leaders in the Battle Ground, Washington community came together and eventually formed a coalition of adults who could support each other, and lead by example, to support youth. The program was dubbed "Connect Battle Ground." It has continued to grow and now includes more than 135 trained adults in six different sectors, from education to business to religion to art, according to the program's website. Connect Battle Ground works by establishing a caring adult network that focuses on positive relationship-building and connections between people of all ages. The St. Helens School District is hoping to establish something similar, and Superintendent Scot Stockwell pitched the concept to the St. Helens City Council this week, alongside the program's executive director, Curtis Miller. 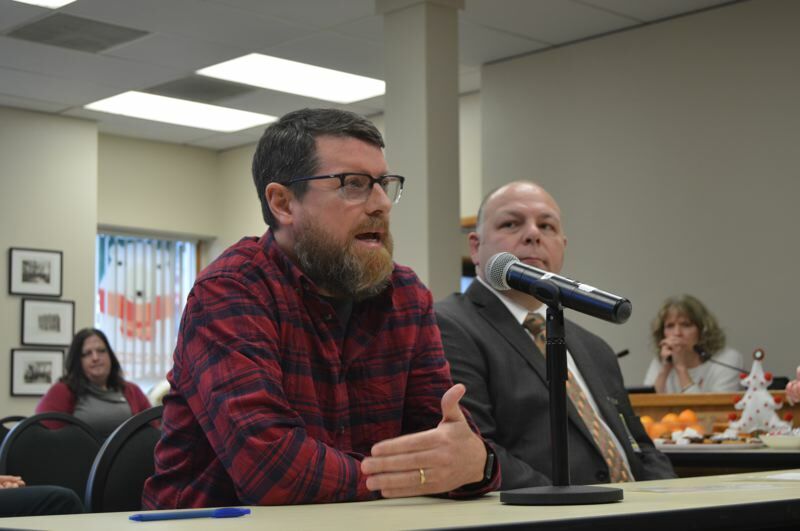 Miller and Stockwell spoke at a City Council work session Wednesday afternoon, Dec. 19, about how the Connect Battle Ground coalition began and what purpose it serves in the community. The goal is ultimately to support teens and children by providing an example of what it looks like to have a personal connection and relationship with others in the community. "The idea was to have adults create a network of connections to be an example for these kids," Miller said. By creating those relationships in the community, young people feel connected and can combat feelings of loneliness and disconnect at a young age. The most recent Oregon Health Teen survey from 2017 indicates that 22.5 percent of high school juniors and 20.8 percent of eighth graders in Columbia County reported seriously considering suicide. More than 30 percent of students reported feeling sad or hopeless in the same survey. During the last couple of school years, the district has experienced several student suicides, which has been difficult, Stockwell explained. Stockwell is also hoping to establish a school-based support program, called "Sources of Strength," in the district, to focus on suicide prevention and that would go hand-in-hand with the Connect program approach. While Sources of Strength works well in a school setting, Stockwell said the goal is that it can also be emulated within the community as whole. "Schools can't do it on on their own," Stockwell said. "We want to reach people who care about children in differ-ent circles and build connections." Stockwell said the school district is planning to start small locally to build capacity, and is now attempting to identify a key connector to attend a two-day retreat in February. The district is starting out by making strategic and foundational choices that will help the program be successful in the long run, Miller explained. "You identify people who are influencers in different groups. Then they meet to sort of launch out into the community that way," he said. During the discussion Wednesday, many of the council members expressed their support. Connections between community groups, the city and the school district are already in place, and following this community-building model would strengthen them, several noted. "It's exciting and it provides me some hope," Stockwell said.